With an 18-year-long dedication to her profession, Lara Spain joins H & H’s New Farm office as Business Development Manager (and we couldn’t be happier)! Expect next-level communication – you might not be used to this as a landlord. Lara’s natural manner of building trust through her warm, knowledgeable, a-promise-made-is-a-promise-kept style of business results in landlords referring landlords. While Lara has all the high-tech tools at her disposal, she says often the best way is to just pick up the phone and have a chat – as this is what many landlords prefer – old school! ‘Lara always made me feel like her most important client,’ says one landlord. ‘Lara brings an uncommon depth of knowledge to property management,’ says another fan of Lara’s. Lara’s babies (three dogs and her tribe of chickens), keeps her busy in her downtime, and she loves fossicking through design shops searching for that perfect piece to bring a room to life! 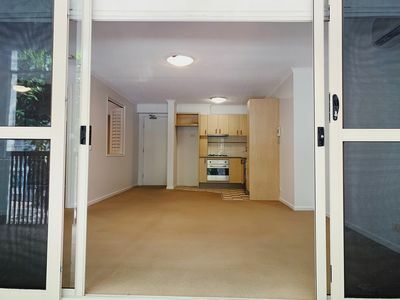 Life in the Heart of James St - Close to the CBD Too!